Strawberry Flavour: Ground Oats (65%), Protein Blend (26%) (Whey Protein Concentrate (Milk), Milk Protein Concentrate, Emulsifier (Soy Lecithin), Maltodextrin, Colour (Beetroot Red), Flavouring, Sweetener (Sucralose) . Vanilla Flavour: Ground Oats (61%), Protein Blend (26%) (Whey Protein Concentrate (Milk), Milk Protein Concentrate, Emulsifier (Soy Lecithin), Flavouring, Sweetener (Sucralose), Maltodextrin. Unflavoured: Ground Oats (65%), Protein Blend (30%) (Whey Protein Concentrate (Milk), Milk Protein Concentrate, Emulsifier (Soy Lecithin), Maltodextrin. Chocolate Smooth Flavour: Ground Oats (63%), Protein Blend (26%) (Whey Protein Concentrate (Milk), Milk Protein Concentrate, Emulsifier (Soy Lecithin), Maltodextrin, Cocoa Powder, Flavouring, Sweetener (Sucralose) . Why did we design Impact Weight Gainer? Quite simply, you can only increase size and mass when your body is in a calorie surplus; therefore, at the end of each day, you must have fed your body more calories than you have burnt. This can be achieved via consuming regular energy-dense meals and snacks that are high in quality protein sources. 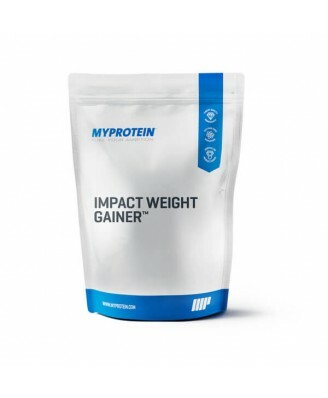 Myprotein's newly formulated Impact Weight Gainer is a convenient choice of supplement for all gym-goers striving to increase mass as it ticks all those important macronutrient boxes! How did we design Impact Weight Gainer? This new formulation now boasts 33g of fast and slowly digested proteins per 100g serving, making it perfect for post-exercise recovery as well as a slow-sustained delivery of proteins throughout the day. On top of this, a combination of oat flour and maltodextrin supply 50g of carbohydrates per serving, which will provide the body with a complex source of carbohydrates. This unique formulation is also a source of fibre to support a healthy balanced diet. Protein 33g of high quality protein per serving (100g 3 1/3 large scops). Carbohydrates The Oat flour blend will help provide the body with a remarkable nutritional profile, targeting your daily carbohydrate requirements. Calories an astounding 388 calories per serving will help you achieve a calorie surplus eac day. Flavours take your pick between 3 replenishing flavours (Chocolate Smooth, Vanilla and Strawberry) or our popular unflavoured option. 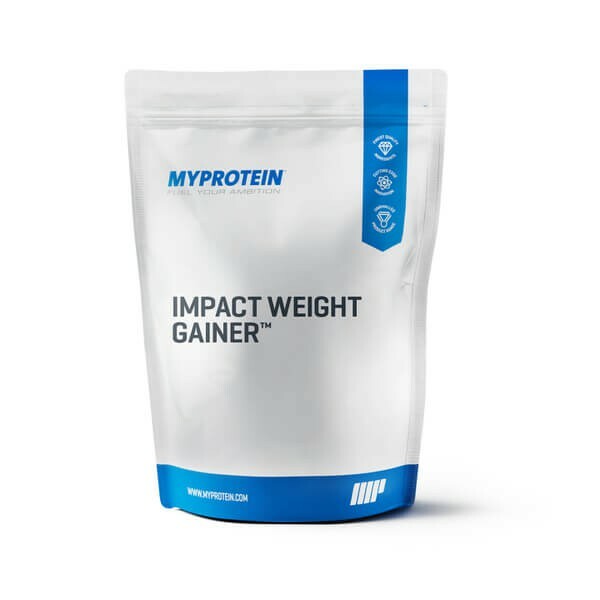 Myprotein's Impact Weight Gainer is a perfectly tailored supplement for anyone striving or struggling to increase size and mass. Alternatively, this product is ideal for post-recovery as it contains protein for the repair and maintenance of lean muscle mass. When should I consume Impact Weight Gainer? Add 3 1/3 large scoops (100g) to 500-1000 ml of water or full fat milk in a Myprotein shaker, shake for 30 seconds and consume 30 minutes pre/post workout. Consume first thing in the morning with Greek yoghurt, smoothies, pancakes, porridges or on its own to fuel you through the day. Alternatively, consume anytime throughout the day.